Owned and operated by Hardwoods USA, an independent, privately owned family company, Australian Cypress .US has been under the same management since its beginning in 2003. This is a family-run small business whose mission then and still is to provide affordable Australian Cypress wood products to customers in the USA and to help them learn the great qualities of this gorgeous wood. Quality & Savings go hand-in-hand: Launched in 2003 in Virginia (USA), Australian Cypress .US was one of the first websites to supply flooring and lumber through the internet. This cut out the middle man's high profits going into in their pockets and out of yours, and into the pockets of the bricks-and-mortar retailers who have high overhead costs. This made it much easier for you to buy Australian Cypress products direct, saving you all those added costs of the retailers' rent, utilities, and staff that YOU pay for. Some flooring and lumber companies even have shareholders and Wall Street nipping at their heels. By being an online store, we bypass those costs, bringing massive savings to you for better quality Australian Cypress wood products. 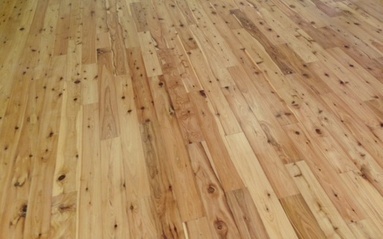 We Love This Wood: "We wouldn't let our own Grand Baby crawl on a shoddy or toxic floor!" We know that in the past some companies for whom the $dollar is their king launched some dubious so-called "Australian Cypress" products into the American market. This served mostly to damage the reputation of this amazing wood. Well, as Aussies, we were pretty darned irritated by that. We care about the reputation of this wood... It's a fellow Aussie and it actually matters to us whether people love it as much as we do. Experience: Call us and you'll get to talk an Aussie who has been involved from the absolute beginning, so you can discover what you need to know about Australian Cypress before you commit to spending your hard-earned money on it. As a family run business, we get that. Honorable: With over 30 years' proven experience in Australian Cypress, we are committed to the sustainable management and efficient, high quality manufacture of our Australian Cypress: Ours comes from an Australian Forestry Standard accredited forest and mill. The Australian Forestry Standard is PEFC endorsed. Work & Trust: We travel to Australia regularly to check on our products destined for the USA. It sounds exciting, but honestly it's hard work! But it is a big part of how we seek to make certain that the wood products we bring into the USA are to a standard that you can trust. We have built up that trust over many years and nurture it carefully. We Specialize: Because we have had laser focus on this beautiful wood, we take extra care and extra steps in our milling and manufacturing process to ensure that we create the highest quality, most beautiful Australian Cypress that we are capable of - products that are free of some of the manufacturing and finishing issues that still plague some manufacturers. It's part of how we can claim "Complaint Free Since 2003".